A local care centre has received two highly coveted industry ratings, demonstrating that it is head and shoulders above the rest when it comes to the provision of care in Fylde and the surrounding areas. 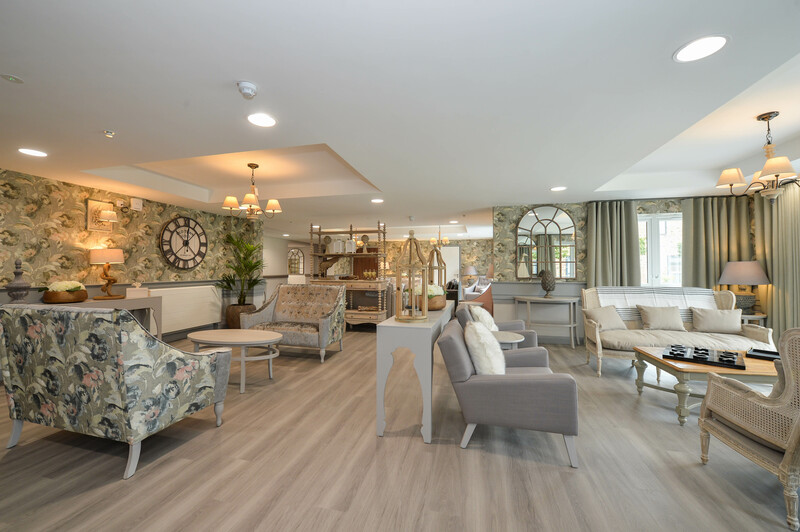 Located on Main Drive in Lytham St Annes, The Hamptons has received an outstanding for care rating in its first Care Quality Commission (CQC) report, and, at the same time, has scored the maximum rating of 10 on carehome.co.uk, the leading review website for care homes in the UK. The independent regulator of health and social care in England, the CQC monitors, inspects and regulates care services, publishing its findings to ensure the general public can make informed choices about the care that they choose for themselves or a loved one. The report went on to say that the team approach demonstrated by everyone working at The Hamptons successfully achieved enhanced quality of life for people and helped them to flourish through and excellent person-centred culture, citing multiple examples of how staff attitude and care delivery had a highly positive impact on the lives of those living at the home. Also in the same week, The Hamptons scored 10 on carehome.co.uk, the UK’s leading care services review website, designed to provide genuine independent reviews and feedback from residents in care homes and their family and friends. A score of 10 on carehome.co.uk is not easy to achieve. In England, there are 15,594 home registered and only 43 have a score of 10. In the North West, there are 1,880 registered and only four have a score of 10. Designed, built and operated by New Care, one of the UK’s fastest growing development-led care home operators, The Hamptons is a ‘new generation’ care facility that features 76 fully furnished bedrooms, all with private en suite wet rooms, a range of stylish and elegant communal lounges and fine dining rooms, a nail bar, hair salon and beautifully landscaped gardens and outdoor areas. Setting new standards for care, the centre has made a significant impact in the local area since it opened 12 months ago. It provides an exceptional clinical offering including residential, nursing and dementia care services, with all residents receiving individual, person-centred compassionate care enhanced by meaningful daily activities to build confidence and encourage mobility and independence (where appropriate). For further information, please contact Dawn Collett on 01253 720052 or email enquiries@newcarehomes.com.